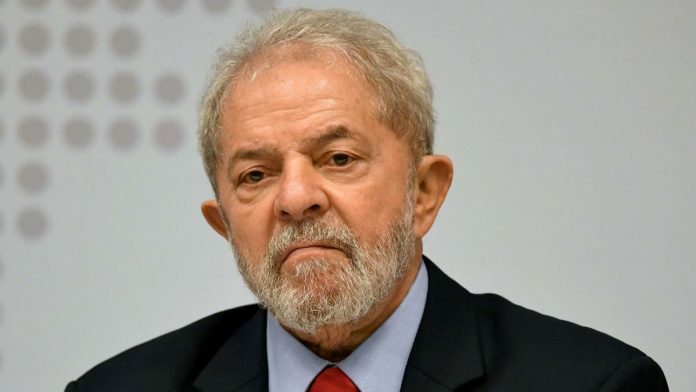 Former Brazilian President Luiz Inacio Lula da Silva was found guilty of corruption and money laundering Wednesday and sentenced to almost 10 years in prison, the highest-profile conviction yet in the sprawling graft investigation that has jailed dozens of Brazil’s elite. The decision by Judge Sergio Moro was widely expected, even by Silva’s own defense team, but was still stunning. The charismatic leader left office on Dec. 31, 2010, with sky-high popularity and is credited with pulling millions of Brazilians out of poverty and turning Latin America’s largest nation into an important player on the world stage. Brazil’s first working class president will remain free while an appeal is heard, but he is now also the country’s first ex-president to be convicted in a criminal proceeding at least since democracy was restored in the 1980s. In many quarter, the man known to Brazilians simply as Lula remains revered – both for his economic policies and his role in fighting for democracy during the country’s dictatorship. The 71-year-old has been considered a front-runner for next year’s presidential election. The case is part of the huge “Operation Car Wash” corruption investigation centered on state-run oil giant Petrobras that has led to the convictions of dozens of business executives and politicians. That probe has also led to charges against current President Michel Temer, who is accused of taking bribes from a meatpacking executive in exchange for helping the company obtain favorable government decisions. Temer denies wrongdoing, and the lower house of Congress will decide if he stands trial. Silva was accused of receiving a beachfront apartment and repairs to the property as kickbacks from construction company OAS. Prosecutors also alleged that OAS paid to store Silva’s belongings, but Moro dismissed that part of the case. Silva also faces charges in four other cases. The former union leader has said all the charges are completely unfounded, and his defiant testimony in the case decided Wednesday was billed as a showdown between himself and Moro. Both men are viewed as national heroes by some parts of Brazilian society. Moro said he did not order Silva’s immediate arrest because the conviction of a president is such a serious matter that he felt the former leader’s appeal should be heard first. The case now goes before a group of magistrates. If they uphold the conviction, Brazilian law says Silva would be barred from seeking office. Moro also ruled that Silva should be barred from public office for 19 years. Lawyers for Silva, who served as president from 2003 through 2010, did not immediately respond to requests for comment. But his Workers’ Party lashed out at the conviction. Silva’s presidency coincided with an economic boom fueled by high commodity prices and he used the profits to fund generous social programs that made him a hero among Brazil’s poor. He left office with popularity ratings of up to 87 percent and Brazilians elected his hand-picked successor, Dilma Rousseff, to succeed him. When commodity prices fell, Brazil’s economy imploded, and the popularity of Rousseff and Silva’s Workers’ Party plunged. Rousseff was later impeached and replaced by Temer. Former Brazilian President Luiz Inacio Lula da Silva Found Guilty of Corruption and Money Laundering. He was sentenced to almost 10 years in prison.